A Shift To Asia For A Better Pigments Market. There has been an increasing migration of manufacturing capacities from the West to low-cost countries in the Asia-Pacific region. This is driven mainly by stringent environmental compliance issues in Europe and North America. Gradually maturing production technologies and the presence of strong downstream customer bases within countries such as China and India have been propelling demand for pigments in these countries in recent years. Examples of companies that have moved their manufacturing facilities to the Asian region are Huntsman Corp, DyStar and Clariant. SYNTHETIC DYE AND PIGMENT MARKET TO REACH $99 BILLION BY 2020 ACCORDING TO THE BUSINESS RESEARCH COMPANY. 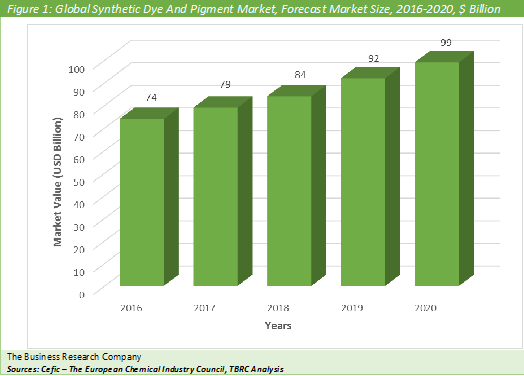 The Business Research Company expects the global synthetic dye and pigment market to grow to $99 billion in 2020. Asia was the largest region in the synthetic dye and pigment market in 2016, accounting for almost three-fourths of the market share. Asia is the largest market because of growth in production technology, manufacturing industry, cheap labor and operational costs creating demand for synthetic dyes in a range of manufacturing industries. According to The Business Research Company’s Chemicals Consultant, Yogesh Bathula, during the historic period, interest rates in most developed countries were very low. This created a flow of cheap money for investment, both in developed and developing economies. It also encouraged borrowing and discouraged saving in advanced markets, helping to drive spending. Markets such as synthetic dye and pigments benefited from the flow of cheap money during this period. Synthetic dye and pigment companies borrowed money for process improvements which help companies produce better products or lower prices to boost the overall market. Clariant International, Ltd., was the largest in the synthetic dyes and pigments industry with revenues of $2.54 billion from its plastics and coatings division for the financial year 2015. Clariant International’s growth strategy is to launch two new pigment dispersions for the Indian printing industry, Permajet IN-C and Flexonyl WF, where Clariant will actively demonstrate its commitment of creating value for its customers. Clariant will also expand by acquiring Lanxess’s black pigment preparations portfolio for around $2.1 million. The chart below shows the year-on-year growth of the global chemicals market during 2016 - 2020. Dye is a colored substance that has an affinity to the substrate to which it is being applied. Dyes are applied in an aqueous solution, and may require a mordant to improve their fastness on the fiber. Pigments are substances that impart black, white or a color to other materials, especially in a powdered substance that is mixed with a liquid in which it is relatively insoluble, and are used especially to impart color to coating materials (as paints) or to inks, plastics and rubber. Chlorophyll, Carotenoid, Phycobilin and Melanin are some pigments. This industry also includes food coloring manufacturing. 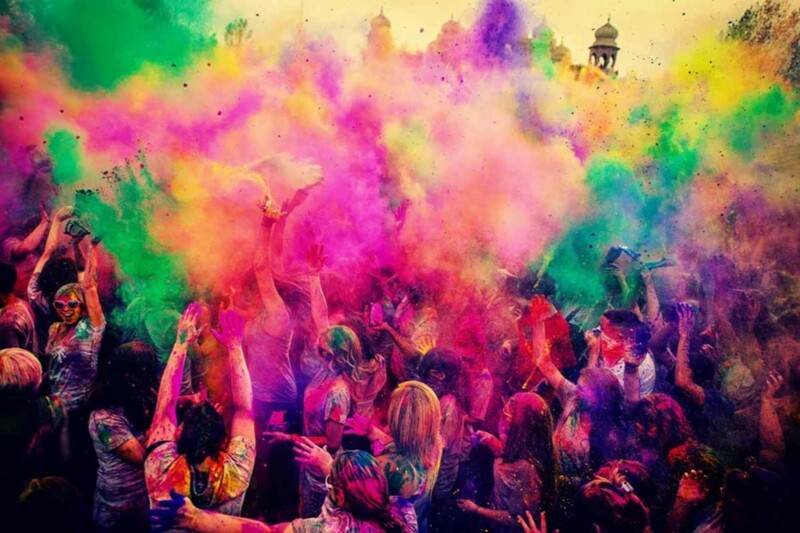 The synthetic dye and pigment industry comprises establishments that are mainly engaged in manufacturing synthetic organic and inorganic dyes and pigments, such as lakes and toners (except electrostatic and photographic). Synthetic dyes are organic dye compounds that are originally derived from coal-tar derivatives synthetically produced from benzene and its derivatives. Eosin, methylene blue and fluorescein are different synthetic dyes. Synthetic dyes include basic dyes, direct dyes, vat dyes, reactive dyes, azoic dyes, sulphur dyes, mordant dyes, acid dyes and disperse dyes. Pigments are classified into organic and inorganic pigments: Organic Pigments are those which contain carbon and come with relatively low levels of toxicity. These pigments are chemically synthesized. Azo, pythalocyanin, diazo and anthraquinone are some organic pigments. Inorganic Pigments are metallic oxides or synthetics. These mineral earth pigments are naturally occurring colored substances. Their production includes a process of washing, drying, pulverizing and mixing into formulation. The synthetic dye and pigment industry procures raw materials such as coal naphtha and other acids to produce dyes and pigments in powder or liquid form. These are sold to distributors or directly to commercial establishments. Synthetic dyes and pigments are used in textiles, medicine, chemistry, and other related industries. Synthetic Dye And Pigment Global Market Briefing is a detailed report giving a unique insight into this market. The report is priced at $750 for an individual user. To use across your office the price is $1000 and $1350 if you wish to use across a multinational company. About The Business Research Company Visit TheBusinessResearchCompany.com, mail info@tbrc.info or call +447443439350 or +918897263534 or +919160996838 for more information on this and many other titles. The Business Research Company is a market research and intelligence company, which excels in company, market and consumer research. It has research professionals at its offices in the UK, India and the US as well a network of trained researchers globally. It has specialist consultants in a wide range of industries including manufacturing, healthcare, chemicals and technology. The Business Research Company's management has more than 20 years of varied business research experience. They have delivered hundreds of research projects to the senior management of some of the world's largest organizations.